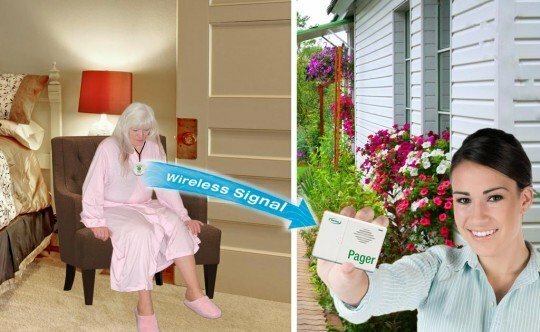 The wireless Personal Alarm Systems for the Elderly & Seniors with 2 buttons is a simple, streamlined system, which includes two Call Buttons and one Caregiver Pager. The Caregiver Pager has two audible sounds to choose from and is small enough to be carried in a pocket or clipped to a belt. With the press of a button the resident is able to alert caregiver. The range between the pendant and the caregiver pager is 150-300 feet depending on environment. The Call Buttons may be mounted on the headboard of a bed with included two-sided tape or worn as a pendant around the resident’s neck with an included lanyard. Pressing the Call Button will quickly alert the caregiver that help is needed.